Great Eastern Singapore is offering 52% OFF its travel insurance! Enter campaign code GENS50 to enjoy the exclusive promotion today! 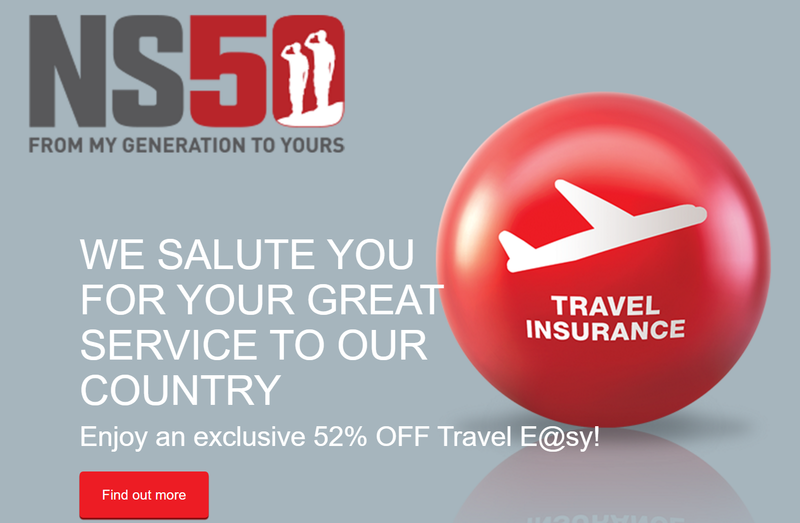 In celebration of NS50, Singapore and Great Eastern’s birthday this August, enjoy 52% OFF Travel E@sy. 52% discount on Travel E@sy travel insurance is applicable to Single Trip only. This Promotion is from 28 July to 31 August 2017 and is not valid with any other vouchers, promotions or discounts. Travel E@sy offers comprehensive travel insurance at an affordable price. Enjoy a stress-free adventure with your family and friends, with premiums from just S$26. Travel with confidence, knowing that medical expenses incurred during your trip will be covered. You can also claim a cash allowance of up to S$200 a day, if you’re hospitalised overseas. That’s not all! In case you need urgent medical help while overseas, SOS Hotline for Emergency Assistance Services is available to you. 52% discount on Travel E@sy is applicable to Single Trip only. Great Eastern General Insurance Limited reserves the right to vary the terms and conditions or withdraw this promotion at any time without prior notice. The terms and conditions of the policies shall apply. These terms and conditions shall be governed by and interpreted in accordance with Singapore law. The Courts of Singapore shall have exclusive jurisdiction over any disputes arising from these terms and conditions, including the validity and enforceability thereof.